I’m ALWAYS looking for new breakfast items to bring to the table on the weekends. And this is the perfect way to feed a group of people. Only 8 ingredients to start your Saturday or Sunday morning! And who doesn’t love MAPLE GLAZED BACON?! You can also take this dish to any gathering or weekend getaway and Impress everyone with your MAD bacon weaving skills. They will love you forever. 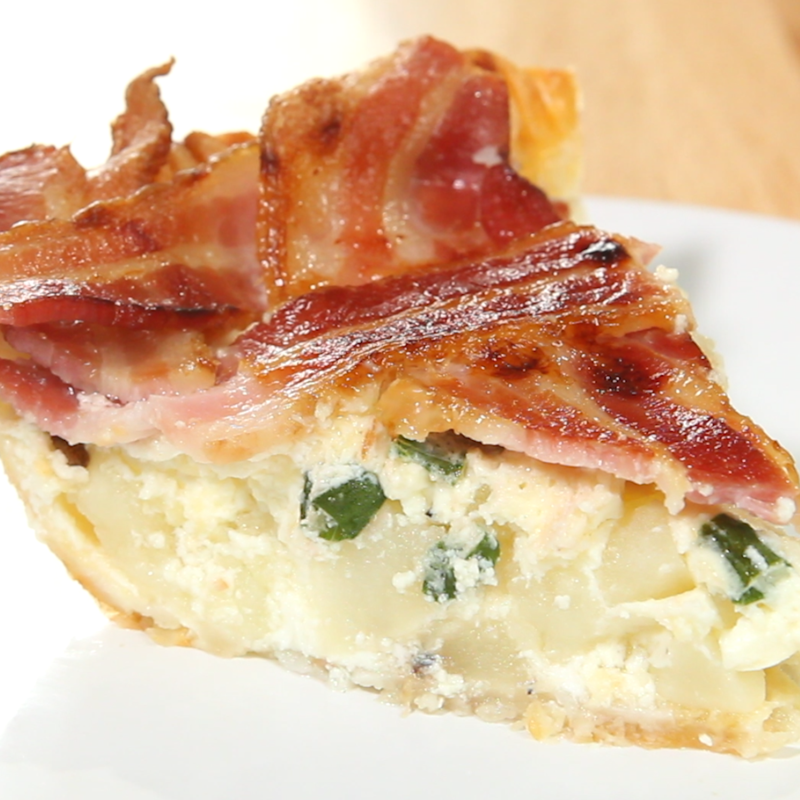 Bake for 35-40 minutes or until the quiche is firm enough to lay the bacon on. Remove the pie and increase the temperature to 450ºF. Weave the bacon into a lattice on top of the pie. Brush each strip of bacon with maple syrup. Cover the edges of the pie with aluminum foil to prevent burning. Return the pie to the oven and bake for 10-15 minutes or until the bacon is done. Tip pie dish carefully to drain any bacon grease.